1. 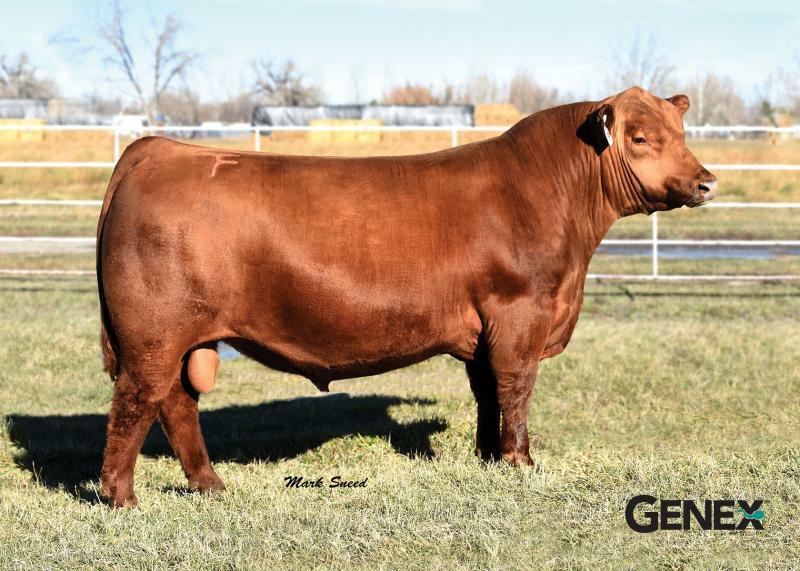 Profitbuilder owns the Red Angus EPD database with an unmatched set of performance traits and profitability indexes. 2. He has a long- body, smooth-made phenotype, sound structure and large testicles. Whether it be heifer or bull calves he will take your herd to the next level. 3. He is being used in commercial heifer projects, as well as elite seedstock herds for flush work.